Flying Barbados is home in Liberty Twp. 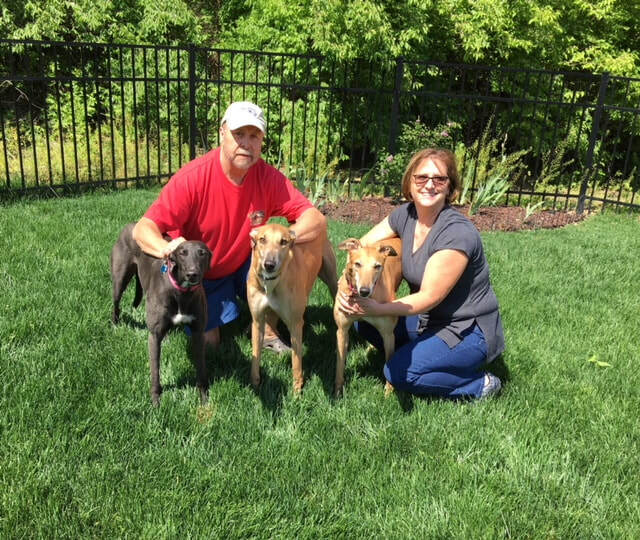 with Dawn and Stephen who adopted Edna from GAGC in 2016, they adopted Diva from a group in South Carolina when they lived there. This family has fostered several of our dogs. Barbados was a foster boy they just couldn't let go to another home. He is now called Johnson and is a VERY lucky boy!